Mergers and Acquisitions Law pertains to the purchase of one company by another or the blending of two organizations into one company. 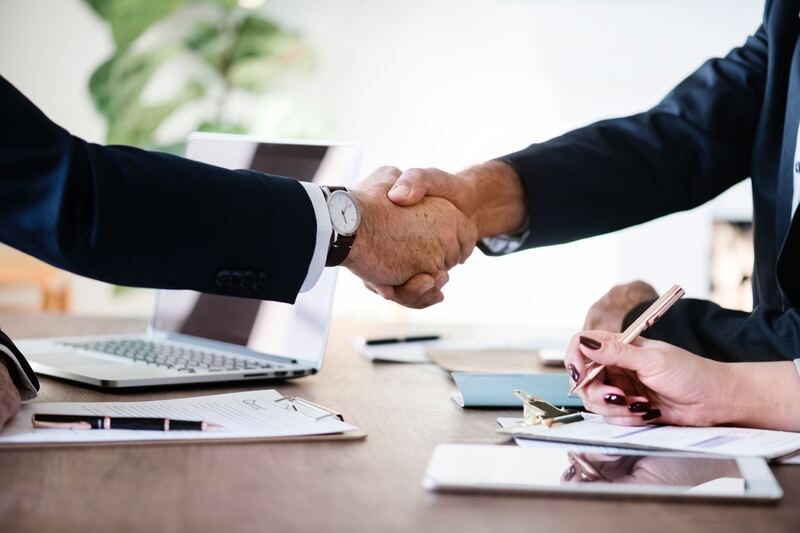 Regardless of the organization, M&A attorneys play critical roles in the implementation and structure of mergers and acquisitions, which is why it is necessary to consult with an expert before considering modifying your business. McCloskey has extensive experience in both areas and is dedicated to keeping your company protected. Whether you are absorbing another company or have questions about your rights during an acquisition, McCloskey is the attorney for the job. He knows that every company and every circumstance is unique, so your consultation will be tailor-made to fit your legal needs. A merger is defined as the blending of two organizations into one company. Also known as a consolidation, the two businesses combine and form a new enterprise and neither company can remain independent after merging. There are two types of mergers: vertical and horizontal. Horizontal mergers are not financially motivated, but instead focus on reducing competition within a competitive market. Vertical mergers occur between two companies when one company buys or sells something from the other. The laws surrounding these two types of mergers exist to protect both organizations and ensure they each are satisfied with the outcome. If you are considering buying or selling a business consult with McCloskey as your next step.